Architects and residential construction companies are always looking to choose materials and products that will meet or exceed the expectations of prospective home buyers. Some of the reasons that they will use a particular material is that it is strong, durable, and long-lasting. Other influences include industry trends, such as aesthetic appeal for designers or the use of sustainable, eco-friendly, and recyclable elements to make a project eligible for LEED Certification. Aluminum checks off all of those boxes, providing cost-effective solutions for things like aluminum doors and windows, as well as other construction materials. Whether the manufacturer chooses a standard aluminum extrusion or custom extrusion profile, the benefits of aluminum products provide effective results for both the builder and the future homeowner. The use of aluminum for the design and manufacture of door and window frames has changed throughout the years. However, aluminum windows have gained in popularity due to their many benefits. While many homeowners once discounted the use of aluminum doors and windows, due to the misconception that they were only available in silver and were made of a flimsy, screen frame-like material, that’s not the case anymore. Significant changes to the aluminum industry, mainly due to the increased use of custom extrusion profile designs to maximize the benefits of aluminum products, has made a significant impact on the industry. 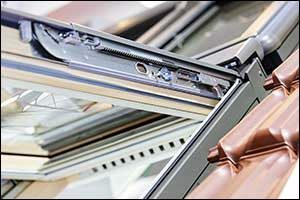 New technology, techniques, and advances in the fabrication of aluminum doors and windows now provide many benefits over plastic or PVC materials. Today’s custom and standard aluminum extrusion frames for residential and commercial doors and windows boast excellent thermal properties and come in a variety of ratings based on performance quality. Aluminum has gained a considerable market share in the construction industry, particularly in markets that include contemporary and custom homes, as well as apartment and other multi-family dwellings. Most of the buildings that are built today will rarely have plastic or PVC windows due to the increased popularity of aluminum doors and windows. In addition to the benefits of aluminum products, the profiles created with PVC materials are often too large for modern architectural designs, taking away from the sleek and slim lines required by many designers. Aluminum profiles can be designed with tight tolerances and extremely thin and narrow walls, offering many advantages over the PVC designs. Aluminum has an extremely high strength-to-weight ratio, which means that it is very durable and long-lasting, yet weighs approximately one-third the weight of steel. The hard surface of aluminum resists denting and weathering over time, in particular, due to its natural resistance to corrosion, such as rust. Additional finishing features can be added, such as anodizing, painting, and powder-coating to add extra protection while making improvements to the “standard” silver color and allowing the manufacturer to create products with custom colors. Extra protection also means reduced maintenance. Not only are aluminum doors and windows lightweight and thereby easier to install, remove, and maintain, but they are also extremely easy to take care of throughout their lifetime. Through the use of a custom extrusion profile, aluminum products can meet any architectural specification and are designed to meet the highest industry standards for air and water infiltration and structural integrity. All of this strength and durability also means higher levels of security for the property itself, making it more difficult for damage to be done that would allow an unauthorized person to gain entry. When it comes to the design and manufacture of traditional aluminum window frames, there are still many uses for those standard aluminum extrusion all-silver profiles. Commercial buildings, including government properties, restaurants, and educational facilities, all continue to use aluminum doors and windows because they are incredibly cost-effective, readily available, and can be manufactured to fit even the oddest size window for quick replacement and renovation. However, due to the affordability of custom extrusion profile aluminum doors and windows, some of these commercial properties are taking advantage of the ability to upgrade to different finishes and colors. If you would like to learn more about our options for standard aluminum extrusion or would like to speak with one of our designers about creating a custom extrusion profile to suit your needs for aluminum doors and windows, give us a call at 508-824-8631. Silver City Aluminum works with many different industries around the globe, helping them to take advantage of all the benefits of aluminum products.